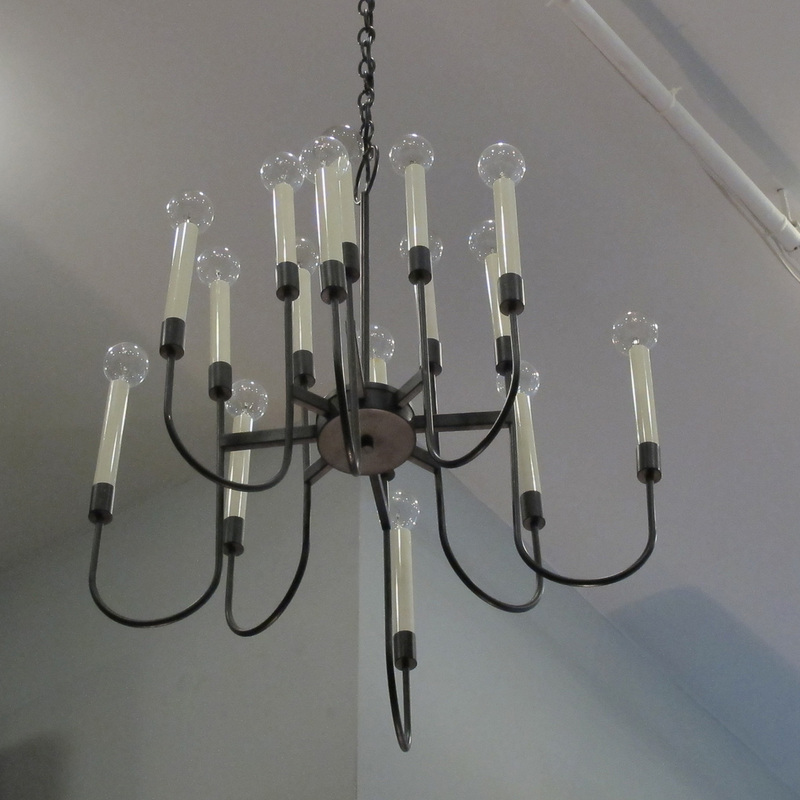 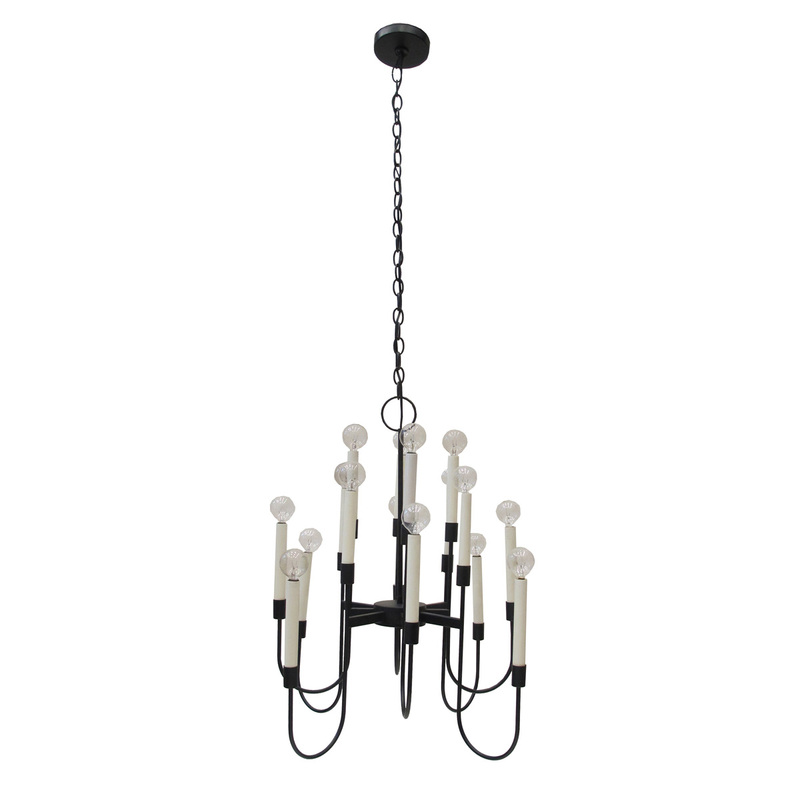 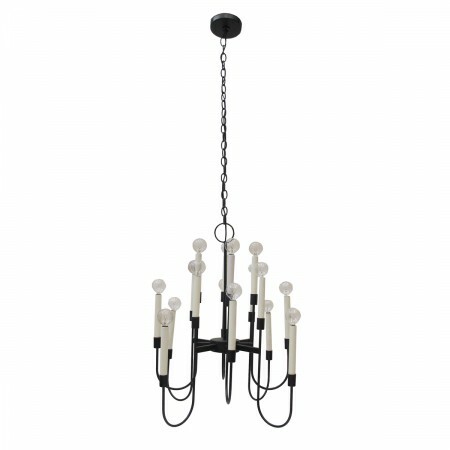 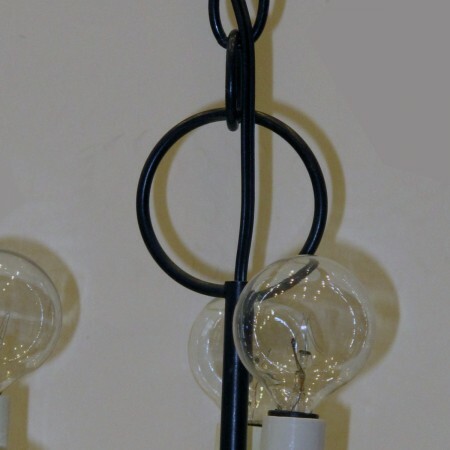 Pair black steel chandelier with sixteen bulbs, newly refinished and rewired. Two available, sold separately. 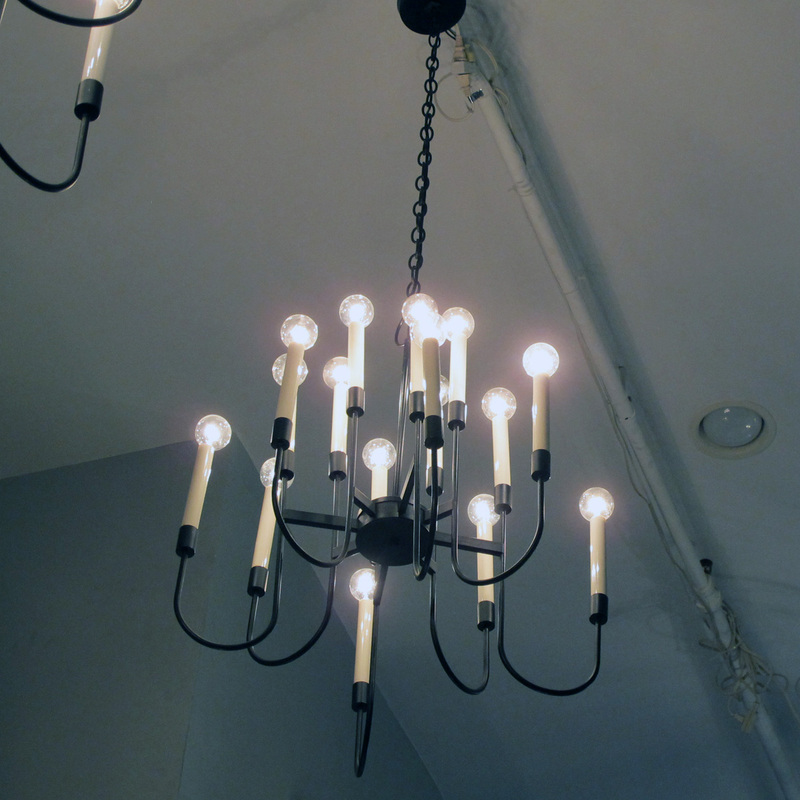 Newly refinished and newly rewired.